The National Assessment of Educational Progress is education’s version of Gross Domestic Product: a national indicator of the overall education health of the country. By that line of thinking, it’s difficult to see anything but stagnation in the numbers. We’re in an educational recession. The outlier was Florida, whose NAEP gains were so significant that it prompted Peggy Carr, the usually reserved associate commissioner of assessment at the National Center for Education Statistics, to say, “Something very good is happening in Florida, obviously.” She went on to say that no matter how researchers broke out the data — by race, family income, gender, disabilities — they found that Florida showed growth on the 2017 NAEP, whereas most other states remained flat or saw declines. What’s behind Florida’s success, and what are the lessons for other state leaders? The main takeaway is that student progress is possible when a portfolio of core student-centered reforms is given time to work. When Gov. Jeb Bush took office two decades ago, the state’s high school graduation rate was a depressing 52 percent and nearly half of Florida fourth-graders couldn’t read at grade level. The governor and his commissioner of education, Frank Brogan, used these dismal measures to rally support around the Florida A+ Plan for Education. The fundamentals of the plan were simple: Schools began receiving A–F grades under a new accountability formula based on student performance. High-performing schools were rewarded (including financial incentives) and low-performing schools were given extra help. Students stuck in the worst-performing schools were given the option to transfer to other schools. The state also added a requirement for third-grade reading proficiency to ensure students had the fundamental literacy skills needed to succeed in later grades. Less appreciated, but critically important, these reforms were given time to work. They were sustained across three administrations and multiple legislative sessions over 20 years. Tweaks were made, standards were raised, and other reforms were added. But the core of the reform package was maintained, giving schools greater certainty for their planning, teachers more stability in what they taught, and time for the entire system to adjust to higher expectations. That’s unusual in an education reform world marked by policy churn and new governors jettisoning their predecessors’ reforms. 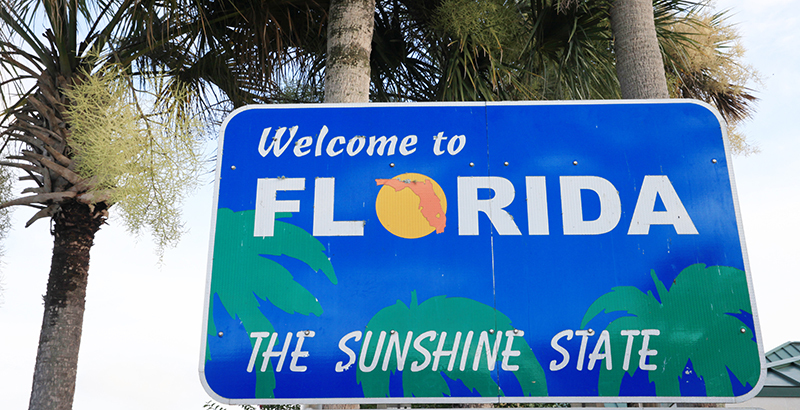 Florida’s performance also challenges some of the conventional wisdom around low performance. Teachers unions have said for years that choice, specifically in the form of vouchers, undermines not just public schools but also democracy. Yet Florida offers a broader array of choices than any state: charter schools, several scholarship programs, a virtual school, and open enrollment public schools. More than 1.7 million students are attending a program of their choice, and, far from destroying the public education system, choice seems to have bolstered it. Florida’s charter sector is narrowing the achievement gap, rather than widening it, as many critics warned it would. More than 650 charter schools serve 270,000 students, 70 percent of whom are minorities. When the Florida Department of Education studied charter sector performance compared with traditional schools, they found that students in charters had higher rates of grade level performance, higher percentages of students making learning gains, and smaller achievement gaps. Some have suggested that demographic shifts explain the flat NAEP national scores. Yet Florida’s student achievement gains were made against the backdrop of Florida’s foreign-born population growing by 49 percent since 2000, reaching nearly 20 percent of the state’s population. Florida is also among the states with the highest number of students who are English learners. Here, too, Florida is outperforming other states. For example, Hispanic students in Florida outscored Hispanic students in Massachusetts. The recession has also been cited as a reason for the stagnant growth. But here, again, Florida had some of the areas hardest hit by the housing crisis and recession. Lee County had the highest foreclosure rate in the nation. Economic growth stalled, unemployment rose, and state revenue fell. And yet, during that same period, student achievement, as measured by NAEP, kept going up. This is good news for candidates competing in the more than 36 gubernatorial races this election year. Candidates from both parties are searching for ideas to help strengthen their education systems, boost economic mobility, and help prepare students for the future of work. Florida offers a policy road map for core ideas that can be customized for their states’ context. Bush often reminds those working in education reform that success is never final and reform is never finished. So while the NAEP results were a chance to celebrate the success of Florida’s teachers and students, they also served as a call to keep moving forward with reforms that work for students. John Bailey is a visiting fellow at the American Enterprise Institute, a Walton Family Foundation adviser, and a former White House domestic policy adviser. Disclosure: The Walton Family Foundation provides financial support to The 74.